People from all walks of life are looking for ways to earn some extra income these days. One way to do this is by joining the on-demand economy, also known as “the gig economy.” Basically, this multi-billion dollar economy is based on consumers spending money to have a product delivered to them or a service done for them that they requested “on-demand” through a website or smartphone app. You know, like when someone uses Uber or Lyft for a ride to the airport, or a delivery service to receive groceries from a local supermarket. Rideshare drivers and food delivery drivers make up a large percentage of people who work gig-economy jobs to take home some extra income. It’s fun, easy, and best of all, you work as much or as little as you want. Let’s say you want to become one of the people who deliver food for an on-demand service. One food delivery company that’s growing rapidly and looking for qualified drivers is DoorDash. They pay pretty well, with an average of $19-$20 an hour. Ok, let’s get into what you’ll need to do to become a DoorDash driver and how the delivery service works. We’ll also pass along some expert advice and suggestions from experienced DoorDash drivers as well. How does DoorDash work for Drivers? Imagine this scenario: A typical family is hungry at dinnertime, but Mom and Dad are too exhausted to cook, let alone get the kids dressed and into the car so they can drive to a crowded, chaotic restaurant. It would be so much easier to have someone bring dinner to their front door so they can eat quietly at home. Or, some busy employees are so swamped at work that they can’t get out to rustle up some sushi for lunch. They’d rather have someone bring the sushi to the office. Well, you could be that someone, because these are the types of customers who go to the DoorDash website on their laptops or the DoorDash app on their smartphones, and order some chow from a favorite local restaurant. You’d get the order request on your smartphone, go pick up the food at the restaurant, and deliver it to the customer. That’s about it. Here’s a breakdown of how a DoorDash driver delivers. DoorDash drivers are known as Dashers, which is a pretty cool nickname if you ask us. And the actual delivery process is called Dashing, so we’ll be using these awesome terms from now on! Dashers in the area have already downloaded the app to their smartphones or Androids, logged in, and have reserved some time slots to start Dashing. You have to log into the app to see what slots are available in your area. You can work as much or as little as you’d like. A Dasher in the area who is logged on to the app will be notified that an order has been placed by a customer. The Dasher now has the option to accept the delivery or wait for another one (more on this later) Once that’s been done, the driver goes to the restaurant, picks up the food and delivers it to the customer. It’s pretty simple. The app gives the Dasher the customer’s contact information and address, the details of their order, directions to the restaurant and to the customer’s location, and even approximately how long the pickup and delivery will take. The customer can track your progress during the delivery through the app on their phone. When a customer orders from a restaurant that is partnered with DoorDash, the payment is done automatically using the credit card number they’ve already stored in the app. The Dasher just picks up the order at the restaurant and doesn’t deal with the transaction in any way. DoorDash instantly loads the customer’s payment onto the Dasher’s Red Card after the food order is placed through the app. The Dasher then hands over the Red Card at the restaurant to pay the customer’s bill. The money does not come out of the Dasher’s personal bank account or delivery fee. After the order is delivered and designated completed in the app, the Dasher gets paid their normal delivery fee, as well as any tip the customer might like to give. Dashers keep 100% of tips. Click HERE to start Dashing! St. Louis, Toronto, Washington, D.C.
Visit the DoorDash website for a full list of where DoorDash delivers. Basically, there are very little requirements regarding your mode of transportation. Your car can be any age, size, or condition. Deliveries can even be made on bikes, motorcycles, or scooters. You need an iPhone or Android in order to accept and complete deliveries through the DoorDash app. You’ll also get paid through the app, as well as receive navigation and contact driver support through the app. In other words, downloading the DoorDash app to your phone is a big deal. You need to be at least 18 years old. All prospective drivers have to pass a background check before being approved. It’s standard procedure. How long does a Doordash background check take? Around 3 to 5 days. If you haven’t heard back by then, contact DoorDash support. A driver can’t have any major violations on their record over the past 7 years, like DUI, homicide, or driving with a suspended license. You also can’t have more than 3 incidences over the past 3 years. You can only deliver for DoorDash in the city (and surrounding areas) that you’ve signed up for. In other words, if you’re signed up to deliver for DoorDash in Los Angeles, but one day you visit friends in Anaheim a couple of hours away down in Orange County, you’re not allowed to turn on the app and make DoorDash deliveries there. Then you fill out a basic information about yourself and your vehicle. After that, you’ll provide details about your vehicle such as model, year, license plate numbers etc. Finally, you’ll receive an email asking you to schedule a DoorDash driver orientation in your area such as a conference room in a local business park. You’ll fill out your W9 tax form and a non-disclosure agreement while you’re there. (DoorDash doesn’t want you to share industry secrets with GrubHub!) Then, some cheerful DoorDash representatives will cover pretty much everything there is to know about delivery driving, or dashing, for the company. They typically try and make it clear that every Dasher is the “face” of DoorDash, and to take pride in how we dress, act, and deliver our orders. They also stress driving safely on the way to pick up and deliver food to our customers. You don’t want to show up with an open pizza box that fell over in your car because you took a corner too fast to save time. OK, now let’s get into the all-important subject of making money with DoorDash. The company advertises on their website that Dashers can earn up to $19 an hour. Obviously, the amount you earn per hour is going to depend on what time of day you’re Dashing and other factors, which we will get into a little later. But, If you’re doing deliveries on a Saturday night around dinner time, you’ll get more deliveries and make more money than if it’s a weekday and you’re driving around in the dead zone between lunch and dinner. So, if you are earning up to $19 an hour and working 8 hours every day, your weekly earnings could potentially result in upwards of $1,064! Pretty sweet right? Here’s how it works: every time a customer places a restaurant order is through DoorDash, a percentage of the total cost of the order is charged to that restaurant. Another portion of that percentage is the delivery fee, 100% of which goes to Dashers. As we mentioned before, Dashers also keep 100% of any tips they received. First, a DoorDash delivery is offered to you through the app. Then, you decide if you want to accept it, depending on the amount of the order and the distance you’ll need to travel to pick up and deliver the order. If you have several orders in the same general area, you might want to accept as many as possible so you can pick up several take-out requests at the same time. You’ll pick up the orders and deliver them to your customers’ locations. These could be homes, offices, or other places. Customer’s track the status of the order in real time on the app. Once the order is complete, customers can rate your delivery skills and hopefully, tip you. That’s why it’s a good idea to look nice, be friendly, and introduce yourself to your customer with a smile! Tipping food delivery drivers is not required of customers, so you should do what you can to impress them. DoorDash pays a guaranteed minimum delivery fee of at least $1 plus 100% of any tips a driver receives. The minimum guarantee is calculated based on the size of the order, approximate driving distance, traffic delays, parking, and how long it takes for the food to be made and packed up at the restaurant. A higher hourly DoorDash Guarantee wage will sometimes be offered during really busy times like during the Labor Day holiday or big TV watching times such as the SuperBowl or World Series, when people want food to be delivered to them. These guarantees can sometimes be over $20 an hour. You just have to make a certain amount of deliveries to qualify. When you drive for DoorDash, there are various ways to earn extra cash through incentives and bonuses! 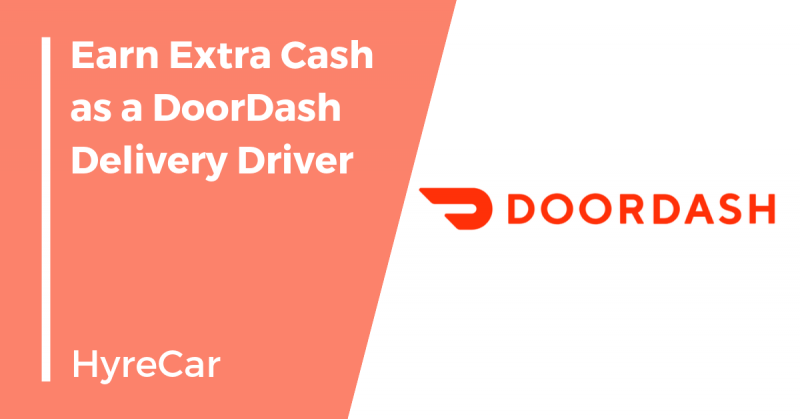 Dashers can earn a sweet bonus by referring a friend to be a DoorDash driver. The amount varies by the size of the city. However, the referred driver has to complete a certain amount of deliveries in order for both drivers to get their bonuses. Just look for the Invite Friends tab in the DoorDash app to refer someone you know. For example, in LA, Dashers can earn up to a $500 bonus for referring someone they know to be a driver. The person you refer will need to complete 120 deliveries in their first 60 days as a Dasher to activate the bonuses. DoorDash will also occasionally add a couple of bucks to delivery fees during busy times of the day like lunch or dinner on weekends. It’s an incentive to get out there and Dash! Keep your eye on the DoorDash app for these alerts. HyreCar compiled some delivery suggestions and driving tips from experienced Dashers around the country. These tips will come in handy when you‘re ready to Dash! Check ‘em out! Need a Car to Dash? Not everyone who wants to be DoorDash driver owns their own car. Car ownership can be costly and a pain in the neck, especially if you live in a big congested city with no parking. So a lot of rideshare drivers and delivery drivers rent a car in order to join the on-demand economy as a driver. If you need a vehicle to become a Dasher, we can help you get on the road. 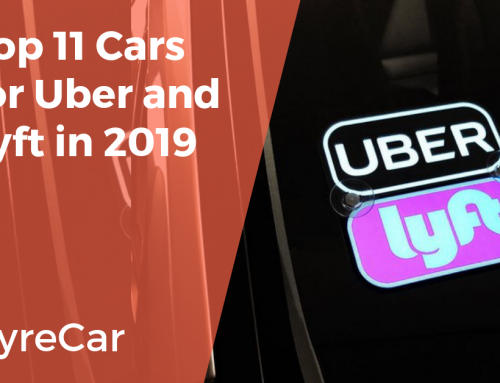 HyreCar has thousands of privately owned, great quality vehicles that are available for rideshare and delivery drivers to rent if they don’t already own a car. You can find an available car in all 50 states. No long term contracts. You can start for a minimum of two days if you’d like. After that, you can rent a car for as long or as short a time as you want. Drivers earn an average of $1000 weekly after rental fees, especially drivers who work for Uber, Lyft, and do DoorDash deliveries as well. Find your perfect car to start dashing by clicking HERE. We hope we’ve given you some useful info about why delivering for DoorDash is a great way to earn some extra cash. You’ll provide an important service to customers, make some decent income, and do it from the comfort of your own car on your own time. Remember, if you need a car for Dashing or to drive for a rideshare company like Uber or Lyft, HyreCar is here to help. We’ll get you behind the wheel in less than 24 hours! Happy Dashing from Your Pals at HyreCar! I’m interested in this position and I don’t have a car right now. Hello Samuel, we are glad that you found us! You can definitely rent a car from HyreCar to help you get started with DoorDash. Please visit https://app.hyrecar.com/offers to create an account and then you will be able to begin searching for a vehicle in your specific area. If you have any questions or need any assistance after creating an account, please email sales@hyrecar.com or give us a call at (213) 269-5330. 829-1040. You can get more information regarding this issue in this link https://www.irs.gov/pub/irs-news/at-03-25.pdf. We hope that you’ll find this helpful.